one thing remains the same: they will, at some point, need professional exhaust hood cleaning done. 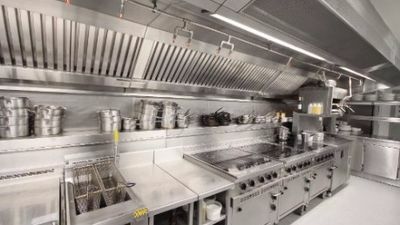 establishment with our commercial kitchen exhaust hood cleaning services. the idea that exemplary service in every area is possible! Keeping your exhaust system clean will help it last a long time. life of your exhaust system with regular exhaust hood cleaning!  It will be easier to keep the rest of your building clean.  You will reduce the likelihood of a grease fire. convince you further of our superior work and commitment to customer service!